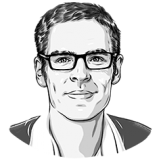 As both a weekend driver and a year round bike commuter, I am particularly sensitive to the conflict between motor vehicles and cyclists. Although I certainly am an advocate for more urban cycling, I admit that it can be dangerous even in the best of conditions. It doesn’t help that many cyclists actively avoid the best conditions. From a practical perspective, cyclists are simply more vulnerable in the event of a collision. Without seat-belts, airbags, or crumple zones, the world can be a painful or even a deadly place. Collisions do occur and cyclists are injured. With Vancouver continuing to grow, the number of cyclists on the street increases on a daily basis. The roads will only get more crowded and the benefits of riding a bike, whether convenience, health, cost, or speed, are too hard to ignore. Accidents will occur and ICBC is left with the aftermath. Unfortunately, ICBC represents the insured (the driver) and does not represent best interests of the cyclist. A bike accident can be a traumatizing experience and cyclists need someone on their side. 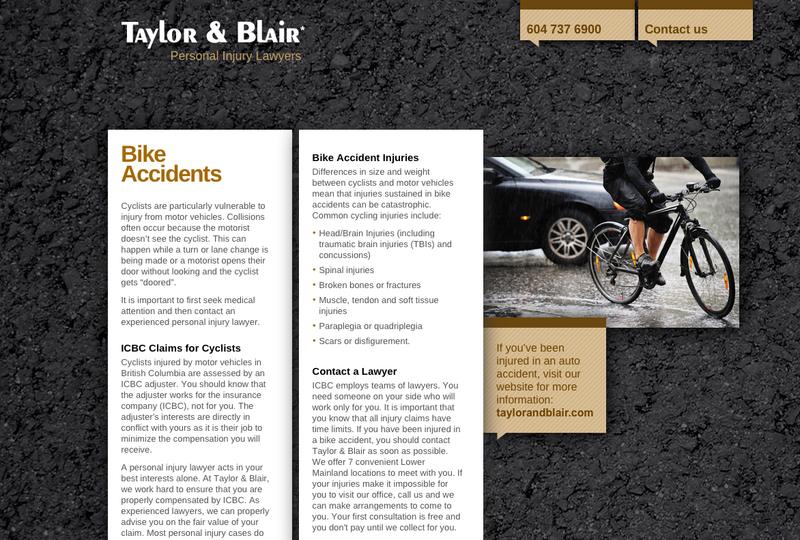 Vancouver personal injury lawyers, Taylor & Blair, needed a way of marketing themselves to the cycling community. Rather than an add-on page to their existing site, Skunkworks developed a stand-alone bike accident microsite to reflect Taylor & Blair’s commitment to this growing practice area. The new site can be found at bikeaccidentlaw.ca. Vancouver cyclists should certainly be able to identify with the imagery.